Have you ever been presented with a situation and then looked back and wondered why? Why did this happen, why did they say that? A situation that you later have appreciation for! Life is continually presenting so much to us. Do we ever truly stop to feel what we are really being shown? As a family, we were talking the other day about childhood memories – how they stay with you, good or bad – and the part those memories can play in your life for many years later. Recently I had a discussion with a very dear friend of mine, whose opinion I deeply value, about a surgical procedure that I require, and during the discussion we talked about many things. Appreciation was one of the subjects discussed… true appreciation of where I had come from, and what an amazing life I am now living. Along with this, I spoke of my feeling of being unable to express in the written word, not even being able to comment on a blog, let alone write one. At the end of our time together my friend suggested perhaps I could write something on appreciation. I went home with an intention to write but felt I had to sit with deep appreciation for a while to truly feel it. 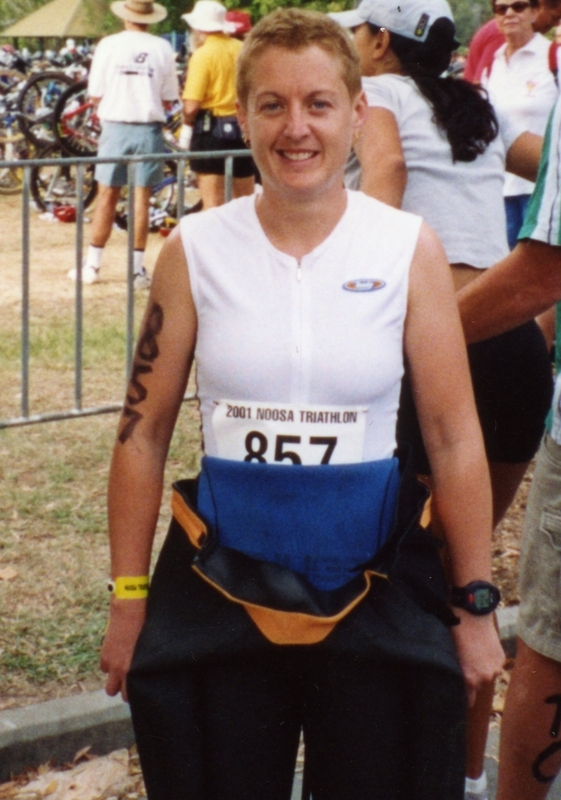 Rachel Hall (Age 30): Me as a triathlete – anxious, uncomfortable, putting on a brave face, grimacing not really smiling. I was flicking through some old pictures of myself recently, and after laughing at all my different hairstyles and hair colours, the fashions and my fluctuations in weight, something quite profound struck me… even though I was smiling in the majority of the photos, I wasn’t actually really smiling!! When I was growing up, I very quickly got the impression from others that feelings were for wusses, and wusses were soft people who have trouble living in this world. I was shown that to be a real man was to have strength, and strength was something that comes from what you can do physically, but never from what you can feel.